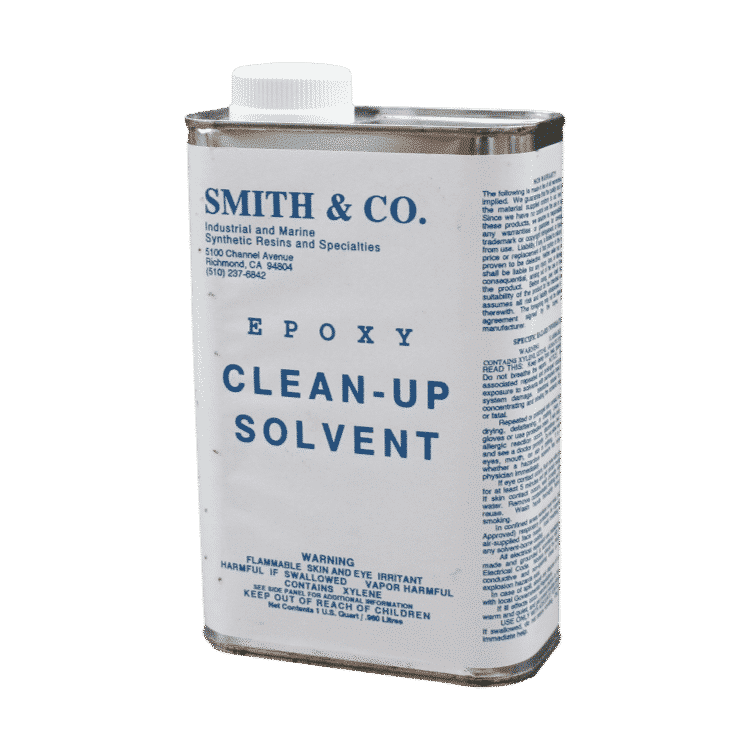 Smiths Epoxy Clean Up Solvent is the perfect epoxy solvent to remove almost any uncured epoxy product. It may be used with CPES, Oak and Teak Epoxy and Layup and Laminating Epoxy to remove the uncured resins from unwanted areas and tools. It may be used to remove Smiths or any other manufacturers uncured epoxies. This is required to clean up syringes or pumps if injecting resins. Unlike acetone it will not weaken the chemical bonds when used to thin epoxy paints. It timber is to be treated with CPES, and a natural finish is required, The epoxy solvent Smiths Epoxy Clean Up Solvent may be used to obtain this. Full details on the required procedure for getting a natural surface to sealed wood are here. Adequate ventilation must be provided, or appropriate chemical respirators worn during use. Always wear gloves to protect yourself when working with any chemicals. MSDS can be downloaded from here.